Elastomeric Roof Coatings | Brandon, FL | Dynamic Roofing Concepts Inc. When you need a roofing contractor in Clearwater and Plant City with expertise in elastomeric roof coatings, look no further than Dynamic Roofing Concepts. Elastomeric roof coatings have superior elongation enabling a watertight seal as the roof expands and contracts. Also, because it reflects up to 90 percent of the sun’s heat, you conserve cooling costs by decreasing the heat transferred to the building’s interior. Elastomeric roof coating is a spray-on acrylic latex barrier. 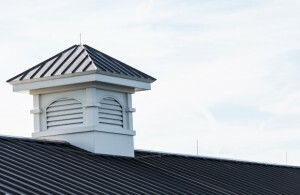 It is typically white to help reduce heat buildup on roof structures. When properly applied by roofers in Brandon, FL and Carrollwood, it can last 20 to 50 years. Maintaining a roof is one of the most essential methods of protecting your investment in a building. Water damage from a leaky roof can destroy insulation, electrical systems, and the building structure. Flat roofs rely on a continuous membrane covering for an entirely waterproof seal, such as an elastomeric coating system. Now you can permanently repair roof leaks with elastomeric roof coating. For a roofing company Odessa, FL and Tampa with a dependable and durable roof repair solution, trust the experts at Dynamic Roofing Concepts. Contact us today at 813-257-9355 for more details or to schedule a free estimate.